Since the US-led NATO forces occupied Afghanistan in 2001, their air strikes on funerals, marriage-ceremonies and mosques, including special military operations killed thousands of civilians in Afghanistan. Therefore, previously, Afghan Government, as well as the parliamentarians, used to criticize the US-led NATO for the Afghan civilian causalities. But, from 2015, Afghan security forces and secret agencies are conducting most operations themselves. Involvement of Afghan forces in civilian causalities is a matter of grave concern, making them unpopular in the eyes of their own people. It is notable that campaign for Afghanistan’s parliamentary elections to be held in Afghanistan on October 20, this year, continues, despite a wave of deadly violence across the country and allegations of fraud. The Islamic State group (Also known as ISIS, ISIL and Daesh) which accepted responsibility for previous and recent terrorism-related attacks in Afghanistan also claimed responsibility for the suicide attack on an election-campaign rally of October 2, 2018, via its Amaq news agency. It is mentionable that on August 10, this year, Taliban fighters attacked the Ghazni city of Afghanistan, killing at least 14 police officers and wounded dozens before the US-supported Afghan forces pushed them out of the city after a few days. Afghan high officials revived the old blame game against Pakistan by accusing the security agencies of Pakistan regarding the Ghazni terror attack. 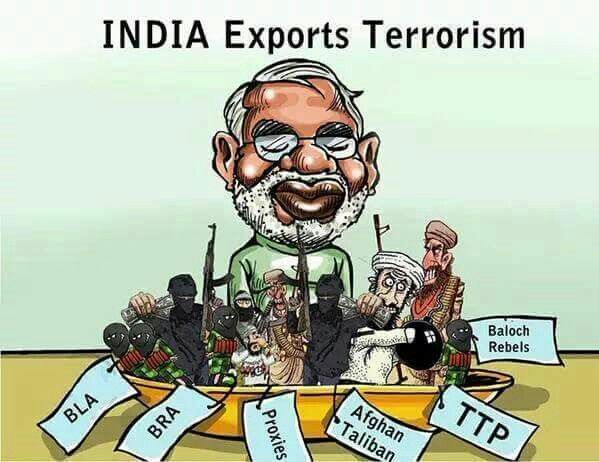 Indian media also availed the opportunity and manipulated the Taliban attack against Pakistan. In fact, prior to the visit of US Secretary of State Mike Pompeo to Islamabad, both India and Afghanistan wanted to spoil positive development between Pakistan and the United States. It is noteworthy that since the occupation of Afghanistan by the US-led NATO forces, the country has become center of the intelligence agencies such as CIA, RAW and Mossad which are in connivance to obtain the covert designs of their countries and some Western countries against Russia, China and Pakistan, including Iran. Under the cover of fighting terrorism, these foreign agencies which are also in collaboration with the Afghan Afghan intelligence agency National Directorate of Security (NDS), support the militants of ISIS and Afghanistan-based Tehreek-e-Taliban Pakistan (TTP), including their linked outfits which have been conducting terror-assaults in Afghanistan and Pakistan as part of the secret strategy of the US-led countries. Besides, these terrorist outfits are weakening Tibetan regions of China and Iranian Sistan-Baluchistan through subversive activities. When any terror attack occurs in Afghanistan, the Afghan government revives old blame game against Pakistan. Taliban denied responsibility for the terror attack. But, Afghanistan’s intelligence service accused the Haqqani network by saying that a Taliban-affiliated group in Pakistan, carried out the attack. Addressing the conference-the “Kabul Process on Peace and Security Cooperation”, held in Kabul on June 6, 2017, which was attended by representatives from 26 countries and international organizations, Afghan President Ashraf Ghani alleged that Taliban insurgents are using sanctuaries on Pakistani soil to wage the insurgency in Afghanistan. In the same speech, President Ghani offered peace talks to the Afghan Taliban. But, a Taliban spokesman rejected Ghani’s offer of a peace dialogue by stating that it is another attempt to endorse and to prolong the foreign occupation of Afghanistan. During the same conference, a powerful bomb went off at the main mosque in the western city of Herat, killing at least 10 people. Again, the Taliban spokesman denied its involvement in connection with the explosion. It is worth mentioning that the armed forces of Pakistan have successfully broken the backbone of the foreign-backed terrorists by the successful military operations Zarb-e-Azb and Radd-ul-Fasaad which have also been extended to other parts of the country, including Balochistan. And Pakistan’s primary intelligence agency, ISI has broken the network of these terrorist groups by capturing several militants, while thwarting a number of terror attempts. Besides, since the government of the Balochistan province announced general pardon and protection to the Baloch militants as part of the reconciliation process, many insurgents and their leaders have surrendered their arms and decided to work for the development of Pakistan and peace has been restored in Balochistan. Notably, there are many outfits of the Taliban. 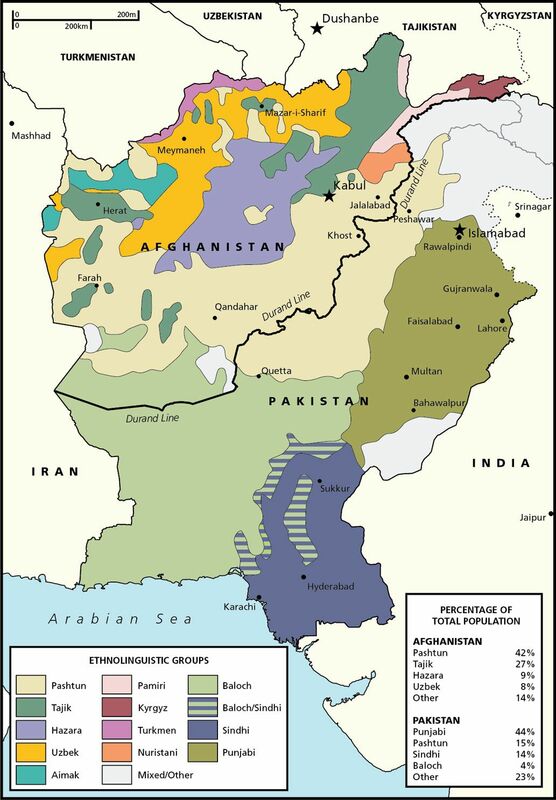 A majority of Taliban is fighting a war of liberation against the occupying forces. The US-led NATO has failed in their fight against the Afghan Taliban. Therefore, the main purpose, especially of America, is to accuse Pakistan of cross-border terrorism in Afghanistan in order to pacify its public in connection with the endless war in that country. Now, particularly CIA is also behind various terror attacks in Afghanistan, conducted by the ISIS and similar terror groups. As regards the terrorism-related incidents inside Afghanistan, by availing the continued lawlessness in that country, India, Israel and the Afghan Government want to prolong the stay of the US-led NATO forces there and are using the militant outfits like ISIS and TTP to create further unrest there, while shifting the blame game towards Islamabad. In this connection, especially RAW, Mossad and the NDS are in collaboration. They have also kidnapped and killed many civilians in Afghanistan. Undoubtedly, we can conclude that Afghan security agencies have increased civilian casualties in Afghanistan, while the above mentioned foreign intelligence agencies have also added to these casualties. Note: I have updated my similar article. Indian courts ignored because they shed a radically different light on the events. facts on 26/11 on the pretext of shielding the real offenders. argues, they did so for good reasons. spending with promises of continuing increases in subsequent years. implied that the perpetrators were from a terrorist group supported by Pakistan. serious investigation, this suggests that a false narrative is being initiated. his group with no evidence at hand. of basic information from the population, on the plea of national security. to his recorded confession (before he even had a lawyer), as well as to eyewitnesses. as did Scotland Yard and Israeli police. deliberately suppressed the truth regarding 26/11 and continue to do so. Prof.
the commission of the crime, they are at least accessories after the fact. Who is Behind Afghanistan’s Blame Game against Pakistan? terror attack in the 16-year- old conflict. 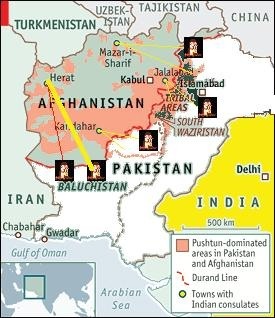 on Pakistani soil to wage the insurgency in Afghanistan. attempt to endorse and to prolong foreign occupation of Afghanistan. involvement in connection with the explosion. Afghanistan’s allegations and threats and vowed to defend the country the with full forces. and why the same continues unabated in wake of terrorism-related assaults in Pakistan. capturing several militants, while thwarting a number of terror attempts. peace has been restored in Balochistan. in Lahore on July 24, 2017.
need for continuous engagement and coordination for peace and stability in the region. was taken on a tour of South Waziristan by Gen. Qamar Javed Bajwa on July 3, this year. the improvement of the fencing of the Pak-Afghan border and enhanced surveillance. region”. Senator Whitehouse also lauded the military’s efforts in curbing terrorism. As a matter of fact, the US and India do not want to see peace and prosperity in the region. Taliban leaders refused to participate in the US-sponsored talks with the Afghan government. RAWALPINDI: Indian RAW Agent Kulbushan Jadhav who was arrested from Balochistan on espionage charges, has been sentenced to death through a Field General Court Martial, the ISPR said Monday. Chief of Army Staff General Qamar Javed Bajwa has confirmed death sentence awarded by the FGCM under the Pakistan Army Act (PAA). According to an ISPR press release, Kulbushan Sundir Jadhav alias Hussein Mubarak Patel was arrested on March 3, 2016, through a Counter-Intelligence Operation from Mashkel area of Balochistan for his involvement in espionage and sabotage actives in Pakistan. Jadhav was believed to be an on-duty officer for the Indian Navy. “The spy has been tried through Field General Court-martial (FGCM) under Pakistan Army Act (PAA) and awarded death sentence. Today, COAS General Qamar Javed Bajwa has confirmed death sentence awarded by FGCM. “The FGCM found Jadhav guilty of all charges. He confessed before a Magistrate and the Court that he was tasked by RAQ to plan, coordinate and organize espionage/sabotage activities aiming to destabilize and wage war against Pakistan by impeding the efforts of Law Enforcement Agencies for restoring peace in Balochistan and Karachi,” said the press release. Pakistan on Monday sentenced Indian spy Kalbushan Yadav to death. 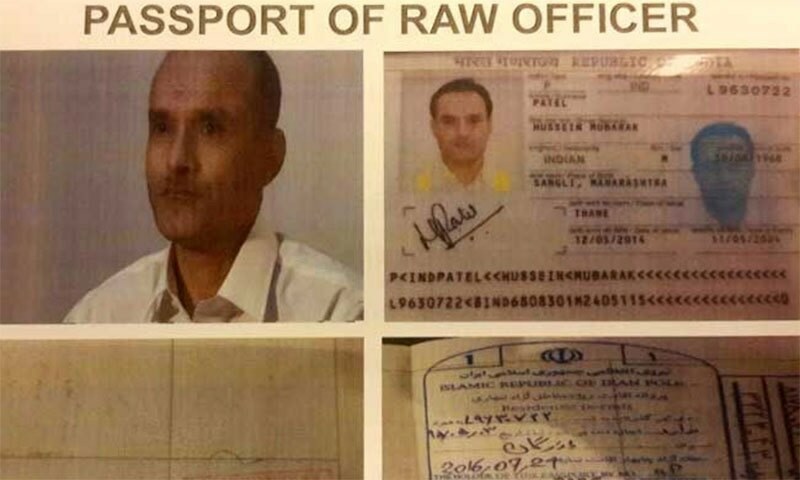 “Indian RAW Agent / Naval officer 41558Z Commander Kulbushan Sudhir Jadhav alias Hussein Mubarak Patel was arrested on March 3, 2016 through a Counter Intelligence Operation from Mashkel, Balochistan, for his involvement in espionage and sabotage activities against Pakistan,” Inter-Services Public Relations (ISPR) said in a statement. “The spy has been tried through Field General Court Martial (FGCM) under Pakistan Army Act (PAA) and awarded death sentence. Today COAS, Gen Qamar Javed Bajwa has confirmed his death sentence awarded by FGCM. Yadav was tried by FGCM under section 59 of PAA 1952 and Section 3 of official Secret Act of 1923. FGCM found Yadhav guilty of all the charges, the statement added. 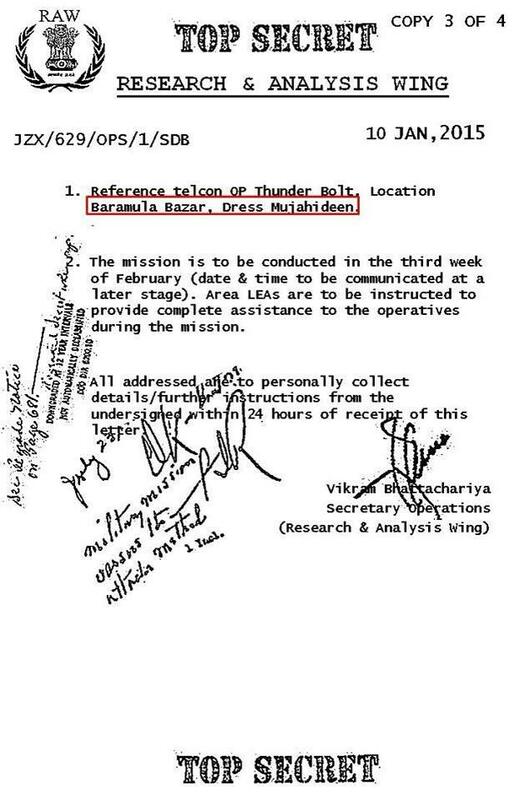 Further, Yadav confessed before a magistrate and the court that he was tasked by Research and Analysis Wing (RAW) to plan, coordinate and organise espionage/ sabotage activities aiming to destabilise and wage war against Pakistan by impeding the efforts of Law Enforcement Agencies for restoring peace in Balochistan and Karachi. The accused was provided with defending officer as per legal provisions. Yadav, an Indian Navy commander, and agent of the RAW, was arrested in a raid near the Pak-Afghan border town of Chaman in March last year. He was earlier posted at Chabahar port in southeastern Iran where he lived with his wife and two children and possessed a genuine Indian passport but with a fake name, Hussein Mubarak Patel. The bilateral dialogue process between Islamabad and New Delhi was suspended after Yadav’s arrest. Yadav, in a video confession circulated shortly after his arrest, admitted to carrying out subversive activities inside Pakistan for India’s premier intelligence agency. India had sought consular access to Yadav, however, Pakistan refused its request. Pakistan believes that India is using covert means to foment violence in the country with an aim to undermine the multi billion dollar ‘one belt, one road’ initiative of China. 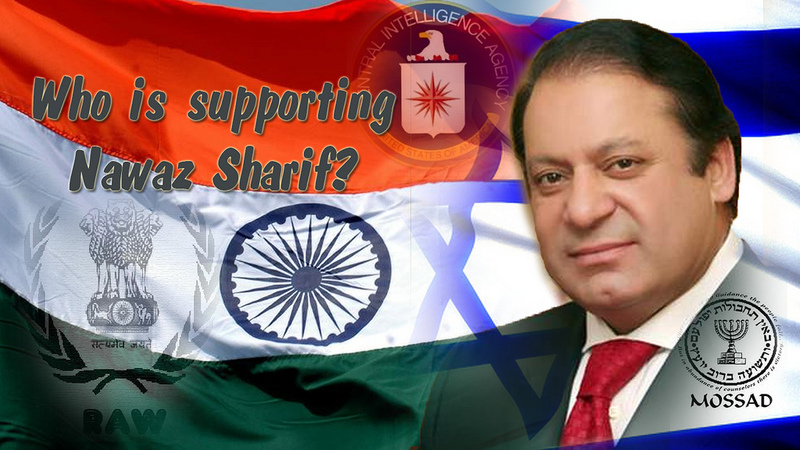 The recent surge in terrorist attacks in the country has once again brought the India intelligence agencies’ role in backing the terrorism in Pakistan to the spotlight. Security officials claim that RAW was using certain militant outfits operating out of Afghanistan to carry out terrorist attacks in the country. The current Indian National Security Adviser Ajit Doval is considered to be the architect of this policy called ‘offensive-defensive’ that advocates a policy of supporting proxies to create trouble inside Pakistan. Indian spy Kalbushan Yadav, Sentence to death.